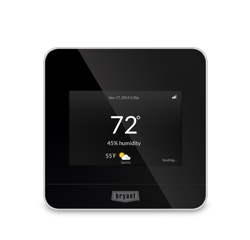 A thermostat that’s more than smart. It’s Housewise™. 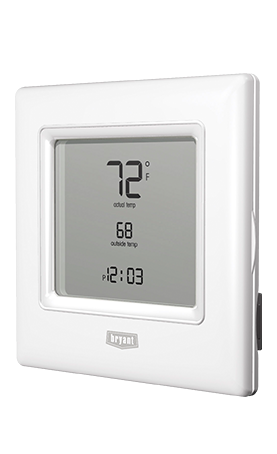 The Housewise™ thermostat is part of a new breed of comfort management devices that saved homeowners an average of 20% on their heating and cooling energy costs, per independent study. With Wi-Fi® capability you can access your system 24/7 from almost anywhere and view detailed energy reporting from your tablet or web portal. Combine that with custom energy tips and you can make informed decisions about when and how to save even more money. From here, you can control your comfort as you would on the wall or via your smartphone. Change the temperature manually or use the Touch-N-Go® feature to make temporary adjustments with a click or a tap of the finger. You can also glance at the current weather, view your monthly savings and get easy access to your expert Bryant® contractor's contact information along with shortcuts to other helpful features. To further understand your monthly savings, just click or tap on the Housewise™ Energy Report tile. 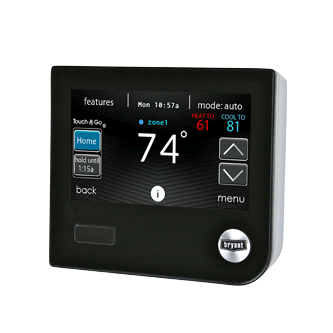 Energy reports from the Housewise™ thermostat - available on your desktop or tablet - offer pinpointed data about your system's performance, allowing you to make smarter decisions about how you control your home's comfort. 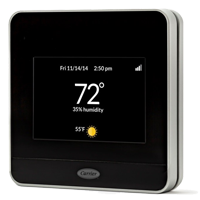 Choose which smart features you want the Housewise™ thermostat to use to help keep you comfortable and take the guesswork out of saving money on your heating and cooling energy costs.